A geriatric specialist is a physician who treats the elderly population and the conditions that most commonly affect them. These doctors have special training in the effects of aging on the body and mind of a patient. 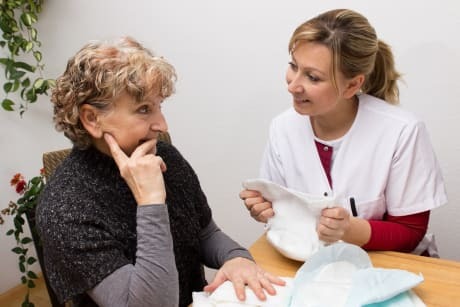 Geriatric specialists treat common ailments faced by senior citizens, such as frailty, incontinence, memory problems, arthritis, senility, decreased functioning and more. In addition, geriatric specialists keep abreast of the different medications that an elderly person is prescribed to treat their more complex health issues in order to decrease adverse side effects and avoid dangerous drug interactions. Learn about the symptoms and causes of urinary incontinence or urge incontinence. Urinary Incontinence The symptoms and causes of urinary incontinence or urge incontinence. Atrial Fibrillation Facts about atrial fibrillation, including symptoms and risk factors. Clinical Depression Clinical depression facts; symptoms & other depressive disorders. Depression Facts about depression, including the symptoms of the condition.